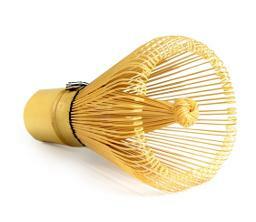 A traditional matcha whisk (Chasen) made from bamboo. Use it to froth your matcha in a bowl. Use with a fast zig zag motion making the letter W.
Copyrights 2016 © Matcha Zone All rights reserved.